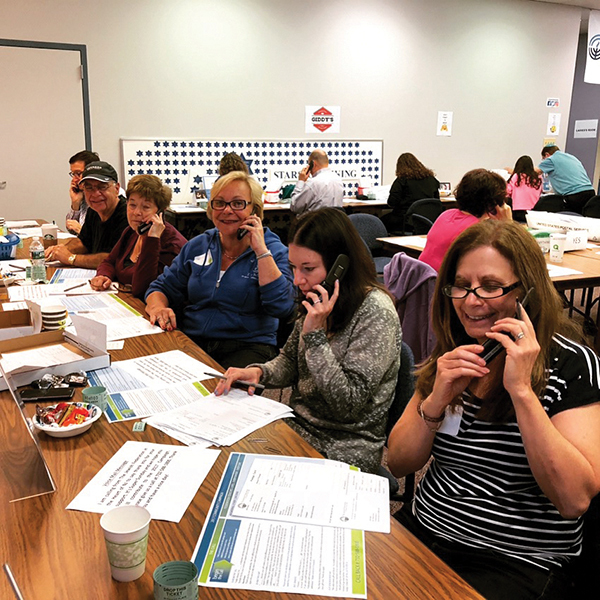 The Jewish Federation in the Heart of NJ has changed its Super Sunday focus and is finding new ways to get the message out about the work it does. 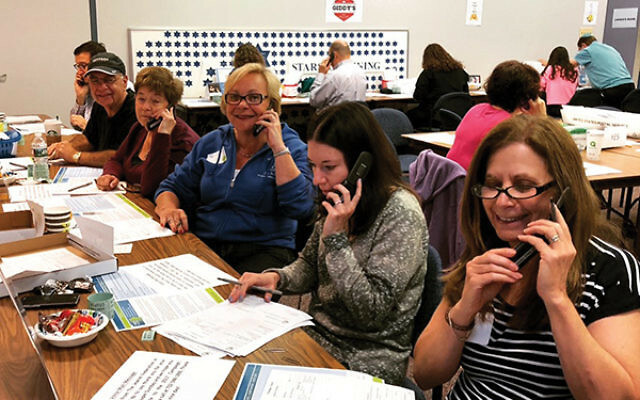 At the philanthropy’s Super Sunday fund-raiser, held Oct. 29 in its South River offices, callers from area day schools, synagogues, and Jewish organizations joined other supporters in reaching out to donors. The day’s calling brought in $130,000, according to federation CEO Keith Krivitzky. What was different this year, he said, is that the callers only contacted community members who had given previously to federation. Last year’s Super Sunday raised $240,000. This year’s Super Sunday total, however, is $250,000, a result of funds raised the preceding week through “a series of targeted events timed to lead into Super Sunday,” said federation executive vice president Susan Antman, “and thanks to our donors’ generosity, we are on par to meet last year’s campaign total” of $3.3 million. Other activities are held throughout the year to make potential first-time givers aware of the important work federation does, Krivitzky said. Such events include informational meeting and conversations with groups and individuals. Among the services federation carries out are assisting Holocaust survivors and other seniors, funding teen trips to Israel, funding educational initiatives, and supporting the community’s institutions, as well as helping Israel and Jewish communities abroad.